1. There is such a thing as a “disco clam”, AND it has a “dark side”. Ctenoides ales are found in the tropical Pacific and use their lips like a disco ball to attract prey they then stun. Naughty disco clam. Incidentally, this article seems to be the sixth the Mail has published about this particular mollusc in the last two years. Ok, it’s not that interesting. Google search knows your secrets, Daily Mail. 2. Depression could be a sort of allergic reaction to modern life. New research claims that depression might actually have physical causes after all, possibly being linked to inflammation, which could revolutionise the way we treat it once more is known about this theory. A few clinical trials have shown adding anti-inflammatory medication to treatment for depression improves symptoms. Omega 3 and curcumin, an extract from turmeric, can be bought over the counter and might have similar effects. 3. This is a good month for stargazers. 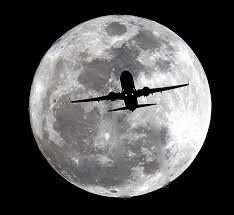 This morning was the Wolf Moon, the first full moon of the year. It can be known alternatively as the Old Moon or Ice Moon, but folklore mainly calls it the Wolf Moon, down to the hungry wolves who howl to it. It rose this morning at 4.54am, coinciding with the Earth reaching perihelion, the closest point to the sun in its orbit so it was unusually bright, making the annual Quarantid meteor shower difficult to see. Three planets will line up in the southwest of the sky just after sunset on the 10th January with both Venus and Mercury visible alongside each other and Mars further to the left. A waning moon on the 16th January will make Saturn easier than usual to spot, and clear skies all month will do the same for Jupiter. 4. Mochi related deaths have been higher than usual this year. Every year in Japan there are always several deaths down to celebratory mochi eaten around new year, in accordance with tradition. The pounded rice gluten is dangerously gelatinous and can choke the young and the elderly. I tried it while in Japan and found it was like eating plasticine, but in a scary way – to the point where I thought, I don’t think I can swallow this. This year there have been nine mochi related deaths, with a further 13 people in hospital. And there you were thinking bull-fighting was probably the most dangerous tradition. 5. 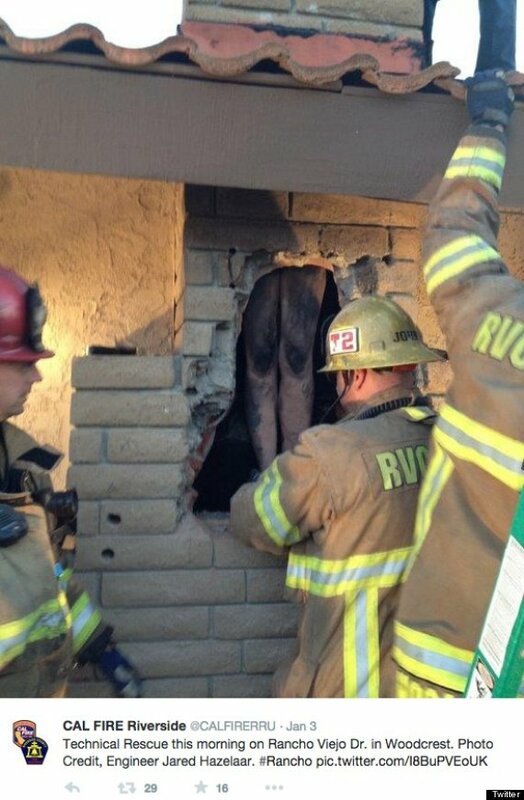 The California woman who got stuck in her ex’s chimney – naked – is not the fist person to do this. The 35-year-old woman climbed down her ex’s chimney – with whom she has three children – after finding the door locked. She removed her clothes to ease the descent in the 12in x 12in space but found herself wedged and had to shout for help, eventually being rescued by firefighters after two hours. What is most surprising about this story, though, is the fact that this has happened before. Last October, another Californian woman attempted to crawl down a man’s chimney when he dumped her after six dates. She also became stuck for two hours, with fire crews dismantling the chimney and using washing up liquid to free her. The homeowner warned about meeting people online. There’s someone in the chimney. It’s SANTA!!! Oh, no – it’s a naked, sooty bunny boiler. I’ve watched a deluge of Old Films over the festive season, culminating with Alfie last night (Michael Caine at his malevolent blue-eyed best. Why did they ever remake it with Jude Law? In terms of charisma, Caine is tea at the Ritz, Law is having some gruel thrown in your face at a truck stop in Kettering. I’ve not liked him since he called his own son a liar to wiggle out of being caught cheating: morality that even Alfie would balk at. But, I digress), I can’t help but wonder: what is with the kissing? In Old Films, lovers sort of jam the lower parts of their faces together and grind them about in a way that is more angry than sensual. I wonder, why was this considered a good substitute for kissing? And when did films start making it realistic?